Here we are — finally. After all the category awards have been handed out, the time has finally come to name which game impressed us the most this year. Yep, listed below are our picks for Game of the Year, and of course, the winner. Before you read on, you might want to check out our week-long Best of 2014 Game Awards coverage linked below. Done with all that? Good. In the gallery below, PlayStation LifeStyle’s staff lists the best games we’ve played this year — regardless of genre. So, which game knocked our socks off? Find out for yourself. Surprised? We’re not. In our review of Middle-earth: Shadow of Mordor, not only did we give it a 9 and an Editor’s Choice award, we called it a robust game, and highlighted its Nemesis system and how it drastically changed the usual third-person action-adventure game. While Shadow of Mordor heavily borrows from games like Rocksteady’s Arkham franchise, Assassin’s Creed and more, that doesn’t mean it’s a shadow of those games. On the contrary, it even manages to trump these games at their own game. Possibly most telling that Shadow of Mordor is a damn fine game is how I even managed to finish it. I rarely am able to finish games these days; but Mordor? Yep, I did. I even managed to collect all the upgrades for each weapon, too! Once I started, I just couldn’t stop — it’s just that good. Shadow of Mordor took a conventional and familiar formula and turned it on its head by adding the Nemesis System where the effects of every death are felt and enemies are unique, requiring a tactical approach to take on throughout the game. It also gave us an unfamiliar story within the recognizable world of Middle-earth. While gameplay may seem to mimic titles like Assassin’s Creed and the Arkham series on the surface, just a little bit of time with Talion is enough to show that Shadow of Mordor carves its own path in the open-world action adventure genre of games that is quite unlike anything that has come before. I think that the reason Middle-Earth: Shadow of Mordor rises above the other amazing games launched this year, is that it was able to compound a number existing game mechanics, while at the same time creating completely unique style of its own. Not since the Batman Arkham series have we seen a game be able to rise beyond its namesake, and plenty of games have tried in the past. Given the power behind the Tolkien franchise, a great deal of credit needs to go out to Monolith Productions and Warner Bros Interactive for having the ability and faith to push so far outside of the safety of a licensed IP. Middle-earth: Shadow of Mordor nails it from the the get-go. Using Tolkien’s work as a license to thrill, developer Monolith provides players with the opportunity to explore a familiar setting populated with enemies that are fun to engage with, both through direct combat, and also via the stellar “Nemesis system”. However, walking into Mordor is no simple feat, and the game’s challenge enhances the feeling of satisfaction when a long combo, or a particularly brutal kill, is achieved. Prioritizing fun for the player above everything else, Shadow of Mordor delivers an epic adventure that is always a joy to experience. From very first starting up the game, I was amazed by the attention to detail that goes hand-in-hand with the revolutionary Nemesis System. Each warchief, captain, and grunt is uniquely designed in looks and personality. They remember you when you come back after a failure and all have something nasty to say. Their grotesque faces are fantastically animated I feel like I now know what an Urok’s face would look like when they articulate and gesticulate, grime, spittle, and all. The way gamers are used to gaming is fundamentally challenged by the Nemesis system that severely penalizes you for failure in sweeping and unpredictable ways. Tolkein’s Middle-earth is richly portrayed and completely immersive, interactive, and unforgettable in Shadow Of Mordor. 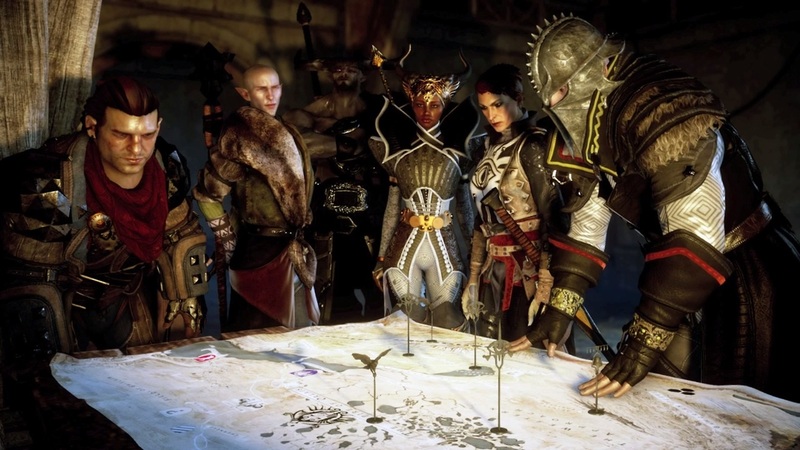 In case you’re wondering, second place went to Dragon Age: Inquisition and it was not an easy choice to make. Both games in fact tied for first place at some point before Shadow of Mordor was declared the winner. Have you played Shadow of Mordor? If not, well, you should. Do you agree with our Game of the Year for 2014? Sound off and let us know what you think and what your game of the year is and why.